A rumour persists across the Solar System of a group of black clad assassins who dwell in the shadows. These Shadow Walkers hunt down their targets silently and without mercy before disappearing back into the darkness. Only death is left in their wake. Some say there is more to this rumour than myth alone. 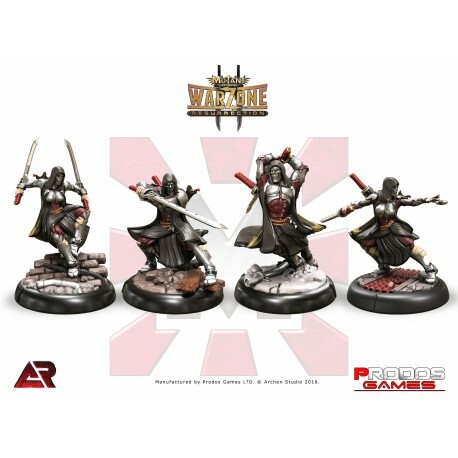 Box Set contains 4x higly detailed "Shadow Walkers" UniCast miniatures.